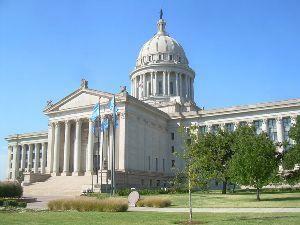 The Oklahoma House of Representatives Tuesday overwhelmingly approved a bill designed to relieve prison overcrowding. The bill, House Bill 2131, would substantially change the way Oklahoma sentences and paroles nonviolent offenders and it is estimated that it will save taxpayers tens of millions of dollars in coming years if it is enacted into law. The bill changes "default" sentencing from consecutive to concurrent terms, which would substantially reduce the length of prison stays. Under the bill, instead of automatically sentencing offenders to consecutive terms, judges or prosecutors must specify that the terms must run consecutively. The bill also changes the parole process by eliminating the need for the governor to approve parole for nonviolent offenders. Currently, Oklahoma requires the governor to sign off on every parole. Under the bill, if the governor does not act on a nonviolent offender parole request within 30 days, parole will be granted. The bill also would expand eligibility for community sentencing programs and GPS monitoring for certain low-risk offenders. "These changes would result in the better use of taxpayer dollars, increase in public safety and more appropriate consequences for low-risk offenders," said House Speaker Kris Steele (R). Changing default sentencing unless a judge or district attorney objects means "the standards will be that the sentences will run concurrently and that will ultimately save money," Steele said. The bill passed 87-4 with no debate and no questions. It now heads to the state Senate. Kentucky has become the latest state to enact sentencing reforms in a bid to rein in skyrocketing corrections costs. Gov. 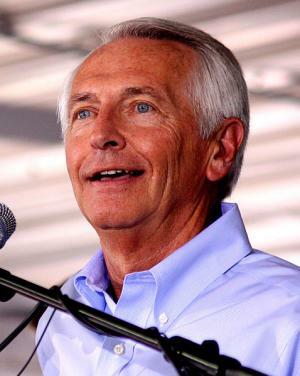 Steve Beshear (D) last Thursday signed into law HB 463, a comprehensive corrections bill that will save the state millions of dollars a year, in part by sentencing drug possession offenders to probation instead of prison. The bill was based on a multi-year collaboration between the Pew Center on the States Public Safety Performance Project and state officials. State officials and legislators working with the project convened a Task Force on the Penal Code and Controlled Substances Act and issued a January report that was the basis for the legislation. "This overhaul of Kentucky's penal code is the result of a multi-year effort involving members of the executive, legislative and judicial branches," said Gov. Beshear. "Over the last three years, we've made headway with aggressive efforts to bring common sense to Kentucky's penal code, and our prison population has dropped each of the past three years. House Bill 463 helps us be tough on crime, while being smart on crime." The new law calls for sentences of "presumptive probation" for small-time drug possession offenders, meaning they will get probation unless judges can offer a compelling reason why they should go to prison. It also calls for drug treatment to be made available for drug offenders. It reduces penalties for small-time drug dealing while increasing penalties for large-scale trafficking. And it shrinks "drug-free" zones from 1,000 yards to 1,000 feet. The law also reduces sentences for small-time drug dealing. Sales of less than four grams of cocaine, two grams of heroin or methamphetamine, or 10 dosage units of other controlled substances will be reduced from a Class C felony to a Class D felony. "Today, if you sell half a gram of rock cocaine, that's a Class C felony," said Van Ingram, director of the Kentucky Office of Drug Control Policy. "When the new law goes into effect in 90 days, you will have to sell more than four grams to get Class C. That means instead of a five-to-ten-year sentence, you'll be looking at one-to-five," he told the Chronicle. The new law lowers possession of less than an ounce of marijuana from a Class A misdemeanor worth up to a year in jail to a Class B misdemeanor with a maximum sentence of 45 days in jail, if any jail sentence is imposed. It also requires reforms of the probation and parole system. It will create "graduated sanctions" for parole violators, allowing authorities to impose short jail stays instead of sending them back to prison for technical violations. And it removes drug offenses from consideration when judges impose sentencing enhancements based on previous felony convictions. Although crime rates have remained steady or dropped, Kentucky's prison population has increased fourfold in the past two decades, from 5,000 in 1990 to more than 20,000 now. Drug offenders account for 25% of the prison population, but 38% of inmates admitted since 2000. The state's corrections budget this year is $460 million, and Kentucky is set to save nearly that much over the next decade by implementing the new sentencing structure. "Of all the problems I inherited, this is one of the most complex," Gov. Beshear said. "In early 2008, I directed Justice & Public Safety Secretary J. Michael Brown to convene the Criminal Justice Council and report back on recommendations for curbing the rising prison population. That report, and the work of subsequent work groups, provided the groundwork for much of these reforms." "This bill takes major steps to both decrease recidivism while addressing the unique problems Kentucky faces with substance abuse in ways that absolutely enhance public safety," said Brown. "House Bill 463 is landmark legislation not only for the positive changes it proposes for our penal code, but also for the manner in which it became law," said Speaker Greg Stumbo. "Anytime you can bring together as many diverse groups as this bill did, and have them agree, you're on to something special. Rep. John Tilley and Sen. Tom Jensen did a tremendous job in getting this bill to the finish line." "It is the most significant and meaningful piece of legislation that I have had the privilege to work on since being elected to the state legislature," said Sen. Tom Jenson, chairman of the Senate Judiciary Committee. "I am pleased that the Task Force on the Penal Code and Controlled Substances is going to continue studying these issues. We have gotten off to a great start and we need to continue working to make things better where we can." "I'm pleased we're making progress in tackling the problems facing our penal code," Chief Justice of Kentucky John D. Minton Jr. said. "With all three branches involved in this deliberative process, I'm confident that the outcome will be positive for Kentucky." "Senator Jensen, Representative Tilley, Senate President Williams and House Speaker Stumbo worked across party lines to look at the data and forge a comprehensive package of reforms that will get Kentucky taxpayers a better public safety return on their corrections dollars," said Richard Jerome, project manager of the Pew Center on the States Public Safety Performance Project. "The legislation employs research-based strategies to reduce recidivism, hold offenders accountable and maximize the state's limited financial resources." Sentencing reforms are becoming increasingly popular as cash-strapped states face ever increasing budget pressures. South Carolina, Colorado, New York, and Texas are among states that have reformed sentencing and other corrections practices to lower imprisonment rates and save money. Similar efforts are pending in Delaware, Florida, Indiana, Massachusetts, Ohio, and Pennsylvania. Sentencing reforms don't end drug prohibition, but they do somewhat reduce its inhumanity and its costs to society, as well as to the people busted for drug offenses. That's a start. Officials across Florida are realizing that in situations where drug offenders are non-violent it would be a better use of limited resources to send them to treatment instead of prison. But, there aren't enough treatment programs and Florida currently houses 19,414 inmates for non-violent drug offenses costing taxpayers $377,971,166 a year. Mary Lynn Ulray, the executive director of a Drug Treatment Program DACCO, says she thinks the legislature is starting to understand there is a cost benefit from drug treatment. Ulray says the agency's 6 month residential program has close to a 70 percent success rate in six months at a cost of $10,000 compare that to the average 6.4 year sentence costing taxpayer $124,601 per offender. California voters opted for treatment over prison for drug possession offenders when they passed Proposition 36 with 61% of the vote in 2000. But now, five years after voter-mandated funding for treatment expired, the deficit-wracked state government is refusing to ante up, equally cash-starved counties are refusing to fund treatment locally, and drug offenders are ending up with neither treatment nor jail. When Prop 36 was fully funded by voter mandate, people who were convicted of first- or second-time drug possession offenses and decided to opt in were placed on probation with the requirement that they enter treatment. Treatment was funded by the state. But after that initial five-year mandate, and as California's budget crisis worsened, state funding has shrunk each year, and waiting lists for treatment for Prop 36 offenders began to grow. That's even as the program has proven a success. According to research conducted by UCLA, Prop 36 has reduced the number of people imprisoned for drug possession by 40%, or 8,000 people, saving taxpayers $400 million in corrections costs this year alone. Overall, Prop 36 has saved the state more than $2 billion in corrections costs. Perversely, Prop 36 treatment didn't get a penny of it. Once the mandated funding of around $120 million a year expired, treatment funding fell from a high of $145 million in 2007-2008 to $118 million in 2008-2009, $18 million in 2009-2010, and zero last year. Gov. 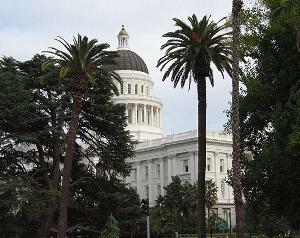 Jerry Brown (D) has proposed zero funding for Prop 36 treatment again this year. "Prop 36 has helped reduce the number of people incarcerated for drug possession by nearly half, but there are still 9,000 of them in prison," said Margaret Dooley-Sammuli, deputy state director for Southern California for the Drug Policy Alliance, the group that sponsored Prop 36. "Most were never convicted of any serious or violent offense, but are there because they have a drug problem and multiple offenses. This is the same population that we've successfully been diverting from prison in huge numbers with no negative impact on public safety or on the taxpayers." Prop 36's mandates are still in effect even if no one is allocating money to fund them. The court must still offer probation with the requirement that the offender goes to treatment, but now, instead of going to treatment, offenders go on a waiting list, which has grown weeks- and months-long as funding shrank, and which now may become endless. "If you don't really need drug treatment, that's not a problem," said Dooley-Sammuli, "but if you have a drug problem, you are being put at a serious disadvantage. You're not getting the treatment you're entitled to under Prop 36 and you're at greater risk of being found in violation of probation and incarcerated." With the prospect of help from the state legislature grim, counties are scrambling to figure out what to do. None of the options look very good. "Long before we had financial support, long before there were funds to subsidize persons involved in the criminal justice system in our treatment services, we were seeing people ordered into treatment by the courts. We have just reverted back to those days," Haven Fearn, director of the Contra Costa County Health Services Department's Alcohol and Other Drug Services Division, told the Oakland Tribune. "We still offer treatment services to those individuals, but if the treatment slots are unavailable at the time the court orders it, many of them will have to go onto a waiting list." Santa Cruz County announced that will "phase out" Prop 36 by no longer monitoring its participants, and other counties have suggested they will send offenders to Narcotics Anonymous. But counties that do not provide Prop 36 treatment could face lawsuits from Prop 36 offenders facing incarceration after failing three drug tests, if those those counties did not provide the treatment required by Prop 36. "The counties can't opt out," said Dooley-Sammuli. "This is a sentencing statute. No county can end Prop 36. What they are choosing to end is the providing of treatment." If legislators were smart, they would pay for treatment, said Dooley-Sammuli. "We hope they will realize that the state is crazy to not provide counties the resources to deal more effectively and more cost-effectively with people convicted of drug possession. Probation and treatment are both cheaper than jail. Not only should treatment be funded," she said, "but we know where to find it: In the $450 million currently locked up in the prison budget to incarcerate drug possessors." Dooley-Sammuli also suggested California make possession a misdemeanor, not a felony. "The legislature recognizes that drug possession isn’t an offense that warrants incarceration in state prison, and we're asking that they follow through with what that really means," she said. "Not only do we save money by making that a misdemeanor, we're also talking about making an important difference in the lives of people convicted of drug possession," she continued. "Having a felony on your record makes a huge difference in employment opportunities, lifetime earnings, being able to vote or adopt children, having custody of your own children, and other damaging collateral consequences." If California isn't going to imprison drug possessors and it isn't going to provide them treatment, then perhaps it should just go ahead and decriminalize drug possession. Until it does, though, drug possession remains a felony in the Golden State. It's just that the state by law can't send offenders to prison and by choice won't pay to send them to treatment. Enacted by 61 percent of voters in November 2000 as Proposition 36, the law says first- and second-time nonviolent, simple drug possession offenders must be given the opportunity to receive substance abuse treatment instead of jail time. That "must" isn't a suggestion; it would take another voter-approved ballot measure to undo it. County officials who administer the state's treatment-not-jail program for certain drug offenders are struggling with a lack of funding that's not likely to improve, but advocates say ignoring the mandate simply isn't an option. More drug treatment, juvenile intervention and giving judges more flexibility in sentencing are the ways to improve Florida's correctional system, the state's newest prisons chief said. Kentucky's House Judiciary Committee approved the most sweeping changes to the state's penal code in a generation in an effort to reduce prison and jail crowding. The committee voted unanimously to send House Bill 463 to the full House, where a floor vote is expected tomorrow. The result of much negotiation and compromise, the bill would steer many drug addicts into treatment and community supervision rather than prison. It drew praise from prosecutors, defense lawyers, judges and local leaders. The Kentucky Chamber of Commerce endorsed it, warning that the state's incarceration costs are draining resources that could better be spent on education. INDIANAPOLIS — The first hearing on S.B. 192 took place today to discuss the need to study the marijuana laws in Indiana and find alternatives to arrest and incarceration. S.B. 192 would create a mandate requiring lawmakers to investigate other options to the marijuana laws that put non-violent Hoosiers behind bars and tie up scarce resources that the public would rather see spent on infrastructure. The bill is sponsored by Sen. Karen Tallian (D-Dist. 4). 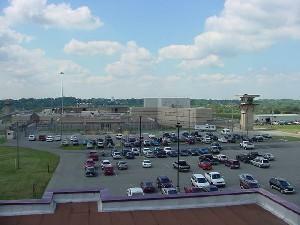 After months of study, Kentucky's General Assembly will begin considering proposals next week aimed at reducing the state's soaring prison population and thereby curbing costs through such things as better drug treatment and alternatives to incarceration. Two identical 135-page bills were filed in the Senate and House, the work product of a task force that examined a wide range of corrections issues.